After adding additional image sizes in WordPress, you may want to consider regenerating your images. In this post, we are going to show you that how can you regenerate thumbnails in WordPress without any coding. When Do You Need To Regenerate Thumbnails? Think about this. You were using a theme called ABCD on your blog. You know every WordPress theme got its own image sizes. If you change your WordPress theme, you will get new image sizes on the blog. All your previous images are saved in the wrong image size and will cause viewability issues. By regenerating thumbnails, you will be able to fit the right sized image. First of all, log in to your WordPress admin dashboard, go to add new plugins and install Regenerate Thumbnails plugin. Upon activation, you can find the plugin settings under tools. All the images will be regenerated soon. If you have so many images on your blog, it will take some time. 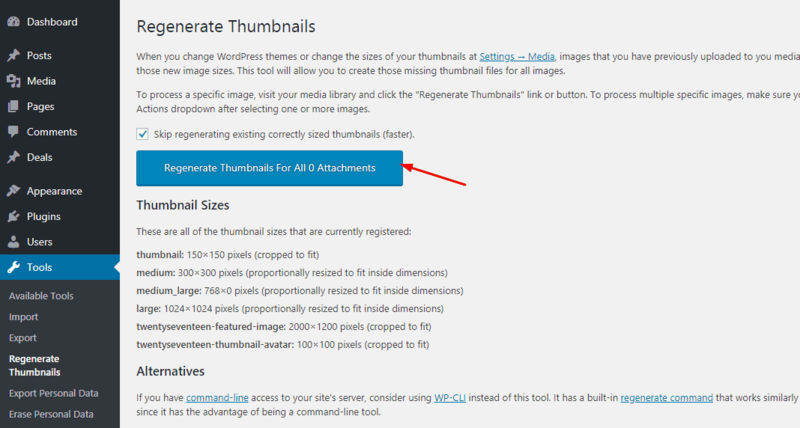 Also, you will be able to regenerate thumbnails by going to the media library. 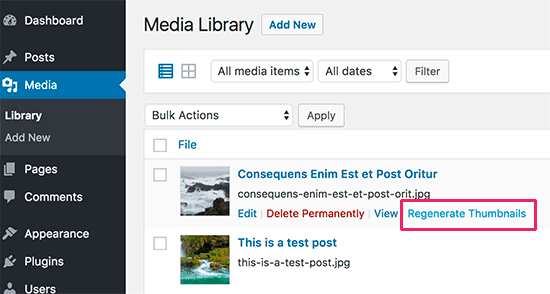 This is how you can regenerate thumbnails in WordPress. We hope you found this tutorial helpful and enjoyed the read. If you did, please consider sharing this post with your friends and fellow bloggers on social media. Looking for more? Check out our blog.